Research by hurricane scientists may force the UN’s climate panel to reconsider its claims that greenhouse gas emissions have caused an increase in the number of tropical storms. The benchmark report from the Intergovernmental Panel on Climate Change (IPCC) said that a worldwide increase in hurricane-force storms since 1970 was probably linked to global warming. It followed some of the most damaging storms in history such as Hurricane Katrina, which hit New Orleans and Hurricane Dennis which hit Cuba, both in 2005. The IPCC added that humanity could expect a big increase in such storms over the 21st century unless greenhouse gas emissions were controlled. 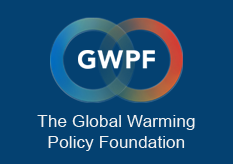 The warning helped turn hurricanes into one of the most iconic threats of global warming, with politicians including Ed Miliband, the energy secretary, and Al Gore citing them as a growing threat to humanity. The cover of Gore’s newest book, Our Choice, even depicts an artist’s impression of a world beset by a series of huge super-hurricanes as a warning of what might happen if carbon emissions continue to rise. However, the latest research, just published in Nature Geoscience, paints a very different picture. It suggests that the rise in hurricane frequency since 1995 was just part of a natural cycle, and that several similar previous increases have been recorded, each followed by a decline. Looking to the future, it also draws on computer modelling to predict that the most likely impact of global warming will be to decrease the frequency of tropical storms, by up to 34% by 2100. It does, however, suggest that when tropical storms do occur they could get slightly stronger, with average windspeeds rising by 2-11% by 2100. A storm is termed a hurricane when wind speeds exceed 74mph, but most are much stronger. A category 4 or 5 hurricane such as Katrina generates speeds in excess of 150mph.